The feelings of anxiety can be a lot to deal with when you are in the comfort of your own home. When your heart starts to race, you feel overwhelming fear, your head is cloudy, and you feel dizzy. It's a lot to handle. But, when you are at home, you are in a place that is comfortable and familiar, and you have the resources that you are used to dealing with it. However, travel anxiety is a whole different world. You don't have those familiar things to help you get through. What Does Travel Anxiety Look Like? Travel anxiety is just a form of anxiety that you deal with when traveling. It has many different forms. 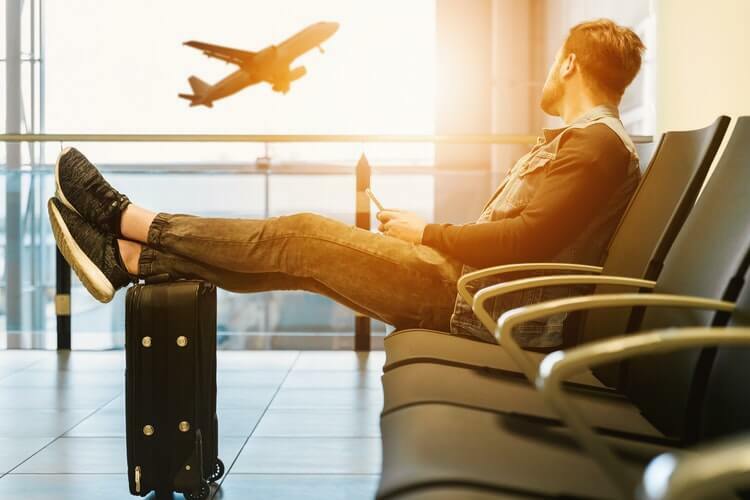 It could be that you are afraid of flying, have heard horror stories from others about traveling, are concerned about what will go wrong at home while you are traveling, or that you will simply miss the comforts of your own home. Or, you may have no idea why you are struggling with travel anxiety. Whatever the reason is for your stress and anxiety, it's something that you want to handle before you leave home. Many people experience travel anxiety even if they don't suffer from anxiety in their everyday life. This can make the situation even more overwhelming because they aren't familiar with how to handle the symptoms. 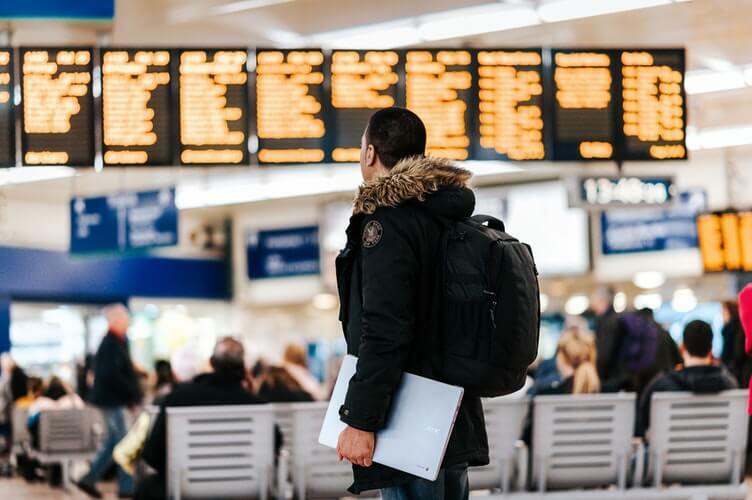 If you struggle with travel anxiety, or you are preparing to travel and want to be prepared, here are several tips to help you out. Having a person to travel with you can make a big difference when you are hit with anxiety. A familiar face, when the symptoms of anxiety come on, can be just the thing you need to help calm and settle your mind and body. If you let them know in advance that you struggle with travel anxiety, you will help them be prepared for the situation as well. Let them know in advance if there are things that you are feeling anxious about, so they know where you need their help the most. It also helps to let them know what your symptoms look like when they first come on. This will help your travel companion to identify when you are starting to suffer from anxiety. If they can catch it at the very start, they may be able to help distract you from going into a full anxiety attack. Being able to control your breathing can play a big role in keeping travel anxiety in check. Before you leave home, spend time practicing deep breathing techniques. Practice breathing in through your nose until you have filled your lungs. When you do this correctly, it will feel like your abdomen is also full of air. We are often in the habit of shallow breathing, which means we are only filling the top portion of our lungs with air. When you breathe, you want to make sure that you are filling your lungs completely. Once you have your lungs full, your next step is to hold it in and count to three.This practice will help you to calm your breathing. When you get to three, very slowly allow the air to escape from your slightly opened lips. Make sure that you expel all of the air from your lungs. Then, start the process over again. Focusing on your breathing can help take your attention off of the situation that is inducingyou anxiety. It's pretty common for people that feel anxiety when flying to have a drink before the flight takes off or ask for one once they're in the air. However, it is best to avoid alcoholic or caffeinated beverages if you struggle with travel anxiety. These types of drink can wreak havoc on your energy level, causing them to spike and crash. And, if you aren't used to these types of drinks, you can make your situation worse instead of better. It's best to hold off on having a drink of either one kinds until you are safely at your destination. 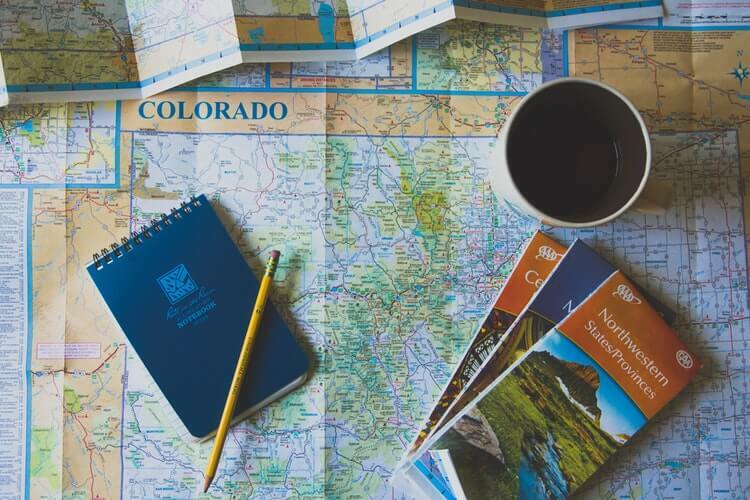 As long as you are not the one driving the car or flying the plane, it's a good idea to pre-plan activities to distract yourself from traveling. Modern technology has expanded the selection that you have in this area. You can listen to podcasts, watch your favorite television show, read a good book, play solitaire, etc. Try to think of activities that will consume your thoughts and draw your full attention. When you are focusing on these activities, your mind will be distracted away from the fear causing thoughts that lead to anxiety. This is a newer suggestion that a lot of people are not familiar with. However, weighted blankets can make a world of difference for people dealing with anxiety. They come in all sizes including smaller sizes for children. You want to find a blanket that is 10% of your body weight to experience the best results. When you are feeling anxious, the extra weight of the blanket can help to calm your body and your mind. If you are traveling in a way that gives you limited space, there are still options. You could find a weighted shoulder wrap or lap pad that will not take up as much room as a full blanket while still making it easy for you to bring on the plane with you. Anxiety often comes from fear of the unknown. If you are traveling to a destination that you've never been to before there are a lot of unknowns. If you struggle with travel anxiety, you want to have a detailed itinerary to help alleviate some of your stress. Familiarize yourself with the plan,so that you know what to expect at what time. Carry a printed copy or use an app like TripIt. This will help you know where to be at what time, keep all your confirmation numbers in one place, and alleviate some of the stress you have of the unknown. It's also a wise idea to research the location that you are going to. Find out what it's like, where you should go, and where you shouldn't go. Don't make the itinerary so detailed that there's no room for spontaneity, but make sure that your big plans are in place and you are comfortable with them. Anxiety can often cause us to procrastinate. When we feel anxious about something, we tend to put it off until the last minute to avoid the uncomfortable feeling. However, this only makes travel anxiety worse. Take the time in advance to make a packing list of all the items that you will need. Then start gathering the items on the list little by little. Have everything packed a few days in advance except for the toiletries that you will still need at home as you get ready. Keep a list of the last-minute items that you need to grab before you leave the house. This will help alleviate your worry of not having the things that you need as you travel. If you constantly give in to your travel anxiety and never go anywhere, it is only going to continue to get worse. Some fears are better to face head-on. So, plan a trip to start overcoming your anxiety. Start with something small and close to home. Slowly work up to larger travel. 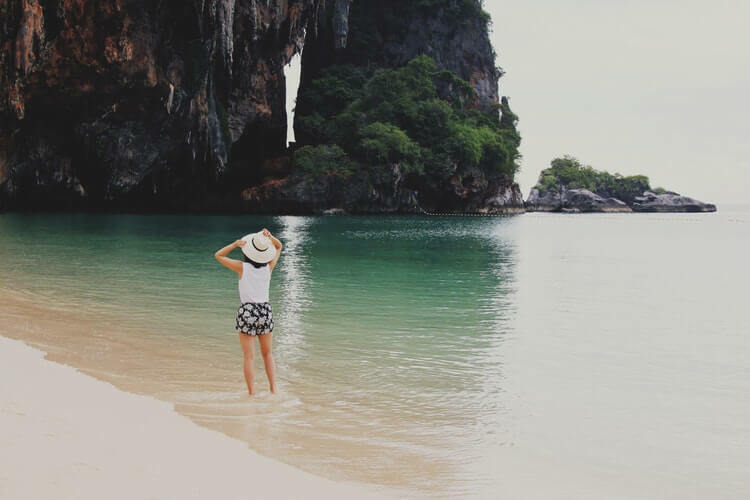 Self-care is very important when dealing with mental health issues like travel anxiety.Developing a good self-care routine can be something that helps you in your everyday life and while you're on vacation. If you have a routine that you can continue while you're away from home, it will help you have one more familiar thing to make you feel good while you are away. Before you travel, take time to exercise and make sure that you get a good night sleep. Choose healthy foodto eat before you leave and while you are gone. The better you treat your body, the more in control you will be able to be of your physical and mental self. If you feel a lot of anxiety about your upcoming travel, take action before you hit the road or get on the plane. You can discuss with your doctor about anti-anxiety medication if you are concerned. You can also speak with a licensed therapist at BetterHelp to find out more options to help you fight travel anxiety on your upcoming trip. The world has a lot for us to enjoy. And, it's hard to do so when you struggle with travel anxiety. So, instead of wasting time worrying about your upcoming trip, get help so you can enjoy each moment of it. What Is Speech Anxiety And How Do I Overcome It?